In the UK the main piece of human rights legislation is the Human Rights Act 1998, which gives effect to most of the European Convention on Human Rights (ECHR). The Human Rights Act sets out the parts of the ECHR which became law in the UK when the Act came into force in October 2000. The ECHR is divided into 'Articles' which set out the fundamental rights and freedoms deemed to be common to everyone. Article 6 of the ECHR concerns the right to a fair trial and Article 7 contains the right not to be punished without law. a prompt and fair hearing by a lawful and impartial tribunal. Hearings should generally be open to the public so that justice can be seen to be done. However, Article 6 states that hearings may be held wholly or partly in private if it is considered necessary to do so – for example, for national security reasons, because the trial involves children, or to protect the interests of justice. The right to a fair trial does not only apply to courts of law but also to other courts, tribunals or decision making processes involving an individual’s private rights. The right to a fair trial may include a right to Legal Aid where this is necessary to ensure the individual receives a fair trial. The right to Legal Aid in civil matters is very limited. Individuals have the right to have access to justice which means they have the right to start cases themselves. However, this right is not absolute - particularly in relation to civil matters. An individual could be prevented from starting a case if, for example, they have left it too long to do so or if they have a history of starting cases which have no merit. To be provided with an interpreter if needed. The rights contained in Article 6 do not only apply to criminal trials in the strictest sense but also to other comparable tribunals – including military trials or prison disciplinary hearings. Broadly speaking, if an individual is at risk of incurring a serious punishment or their liberty may be at stake it is likely that these additional rights apply. For the purposes of human rights law civil cases are those which involve an individual’s private rights or where a public authority is exercising its powers in a way which affect an individual’s private rights. These may include cases or hearings which involve planning decisions, employment issues or family law. Many types of civil case are not covered by the rights contained in Article 6 of the ECHR. For example, the right to a fair trial does not cover cases involving immigration or tax issues. However, an individual may be entitled to similar rights under a different piece of UK legislation. The law concerning the application of the Human Rights Act to civil matters is complex and anyone who believes they may have such a claim should take legal advice before proceeding. Not to be retrospectively convicted of a criminal offence for doing something - or for failing to do something - which was not, at that time, a criminal offence. Not to be given a stricter penalty or sentence for a criminal offence than the maximum penalty which could have been imposed at the time the offence was committed. In principal, this is an absolute right. However, Article 7 goes on to say that an individual may be convicted of an offence if the act, whilst not against the law of the country where it took place, was against the laws of 'civilised nations'. This may apply in the case of an individual being tried for war crimes in relation to acts which were not deemed criminal in his own country at the time they were committed. So how do on the spot fines come into this? My human rights were breached. I would like to have a fair trial. 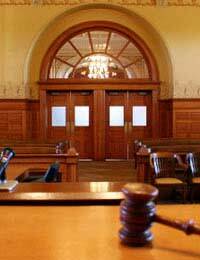 How can I appeal a conviction for wrongfully pleading guilty?